Living in Central Florida, taking Interstate 4 is just a thing you have to do from time to time. It’s not the best ride to say the least. There is not much to see but flat land and lots of grass, but at one point from the road you can see a large building with a silhouette of a bottle and bottle caps hanging from the wall. You can see cars piled in the parking lot and a road to and from the building. I always wanted to visit this place but never had the time (really there was just not a close enough exit for me to change my plans and head there). 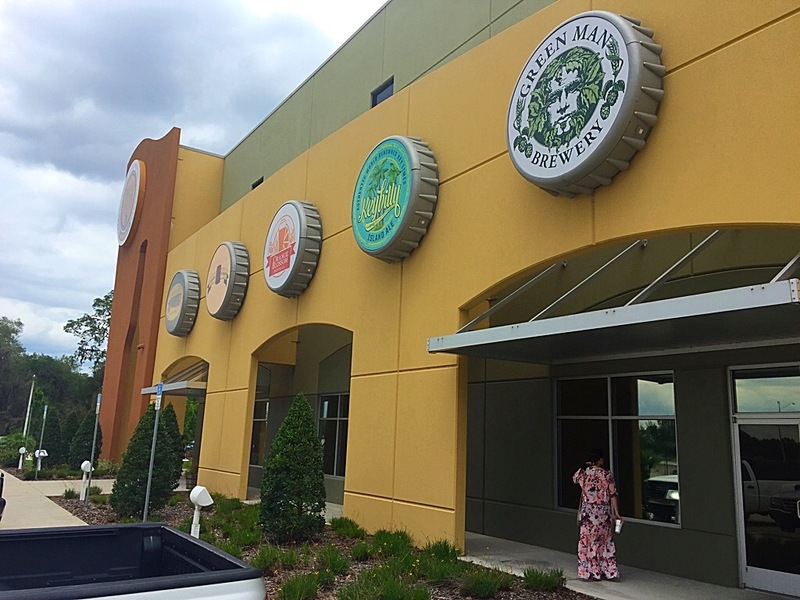 Finally, with a free weekend and excuse of lunch in Lakeland, FL I found my chance to stop by this brewing monolith and sample some beers! So what is Brew Hub again? 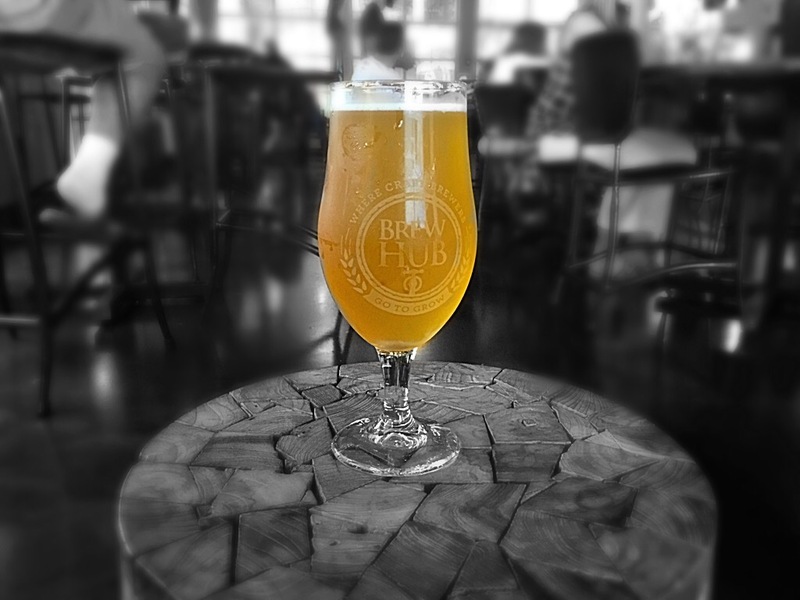 Brew Hub in a nutshell is a way for craft breweries who are unable to brew beer due to variety of constraints the ability to get their product out there. Brew Hub can do everything from brewing, packaging, distributing and selling that product. This is a sound idea for breweries who may be at capacity and unable to meet the demand for their product. So do they sell beer or just make beer? They do it all. Along with partnering with 16 microbreweries, Brew Hub even has their own “Brew Hub Craft Collection” of beers to sample in their taproom. On top of that you can enjoy a bevy of brews that can be on tap from their partners. They have a nice size taproom. We decided for the more laid back approach and took the comfy chairs in the corner. They also partner with different food vendors to provide some entertaining entrees. Most recently they had Meatballs and More, a food truck company based out of Tampa, FL. What kind of beer do they have? Ubii: Black Kolsch? Yes please! This German style beer had the light taste along with a darker malt roast making it a great blend. You could really get that roasted fragrance from the beer. I remember having darker beers in my most recent adventures in Europe and this felt very familiar. Sun Gose Down: I’m a sucker for a good name of a beer. Truth be told, a good name will get me to try the beer. It may not keep me but it will get me to the door. However, this gose kept me wanting more. Of course I love a good German style beer and a gose is a special treat. I felt that the pink Himalayan salt in the flavor of the beer that gave it that extra touch I liked. Pun names and offsets of styles aside, I enjoyed my time at Brew Hub and found the atmosphere to be comfortable. I look forward to making more trips there in the future. 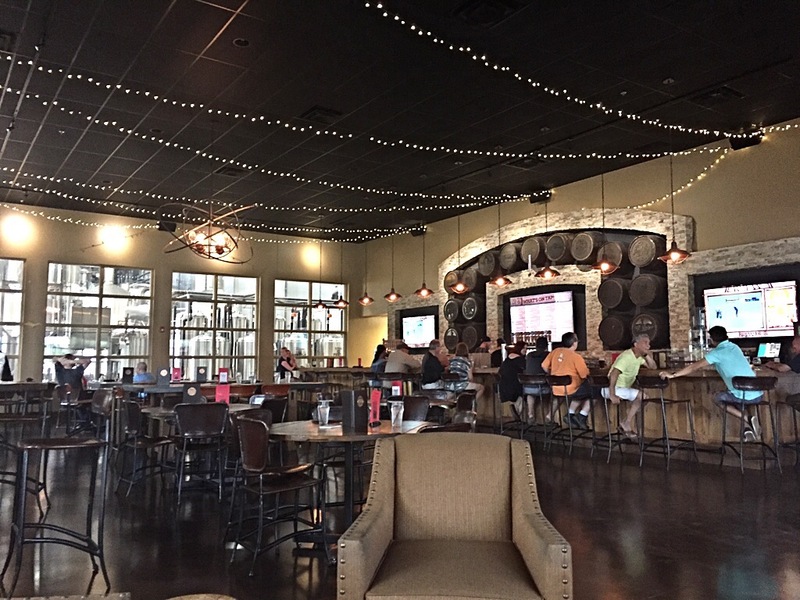 If you have ever seen Brew Hub while driving down I-4, give yourself a treat. Take the next off-ramp and spend a little time there. You will not regret it. Previous BYOCB and Central 28 Beer Co.